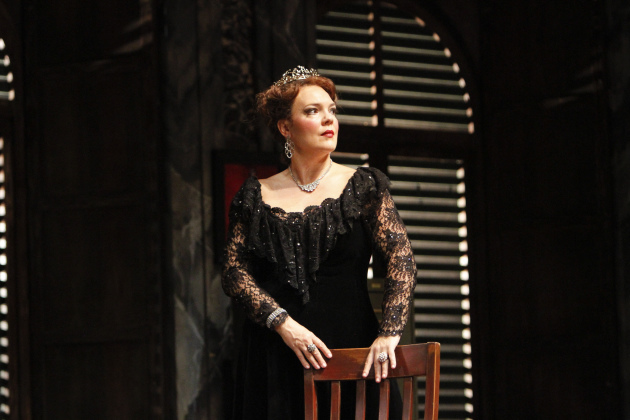 Jill Gardner as Tosca in a still from Boston Lyric Opera. Photo by Jeffrey Dunn. For its third season of outdoor, summertime opera, Mill City Summer Opera has chosen to stage "Tosca," the Puccini tearjerker, with Jill Gardner in the title role. Artistic director David Lefkowich will direct a staging set in the 1940s, and Brian DeMaris will be the show's music director. Other cast members include Jake Gardner (Scarpia) and Dinyar Vania (Cavaradossi). As usual, Mill City will stage the opera outdoors in the Mill City Museum's Ruin Courtyard. The past two seasons ("Pagliacci" and "The Barber of Seville") have mostly sold out, so this is a hot ticket. Tickets to the opening night are on sale now; tickets for six scheduled performances July 12-22, go on sale in mid-May at 612-875-5544, or the opera's website.